One event that certainly could create a lot of excitement at the upcoming All State Meet is the girls' high jump. Thus far this season a total of nine athletes have cleared 5 feet, 4 inches or higher, including defending state titlist Zoe Dainton of Hingham High. On Saturday, Dainton moved up in the state rankings by capturing her specialty at the South Shore Principal's Twilight Invitational with a season-best leap of 5-5. The talented senior's performance was among a number of highlights at the nighttime meet, held at Norwell. Lincoln-Sudbury clocked a state No. 4 in the 4x800-meter relay with the quartet of Meghan Garrett, Kylie Oblak, Anna Trecker and Sophie DeFreitas combining for a time of 9 minutes, 36.25 seconds. In the boys' 4x800m, Wellesley's foursome of Colby Carle, Jameson O'Neill, Bennett MacDougal and Thomas Weiss took first with a time of 8:09.34. Milton's Smith Charles claimed the boys' long jump crown by nearly two feet with a distance of 23-0.5. 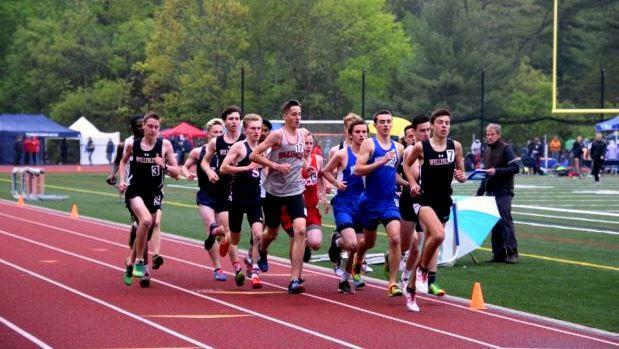 In a tight 800m race that saw the top five finishers less than a second apart, Plymouth North's James Kiley edged Wakefield's Matt Greatorex with a time of 1:59.52. Greatorex took runner-up honors with a time of 1:59.58. Hanover's Gillian Kenney was a dominate winner in the mile, breaking the tape in 5:03.03. Brandon Hall of Hopedale was first in the boys' race with a time of 4:23.41.